Did Sprint really lose market share in the last quarter? When Sprint Corp. releases its fiscal third-quarter earnings report on Tuesday, analysts will look closely at a few key factors to measure the company´s success. While Sprint (NYSE: S) boasted more customers and lower churn in its second fiscal quarter, which ended Sept. 30, that could have changed during a competitive holiday season. "Since I became CEO, this was by far our most competitive quarter," CEO Marcelo Claure said during an early January conference. "I think we´re holding our own." A report [PDF] issued Wednesday by Consumer Intelligence Research Partners LLC paints a different picture. 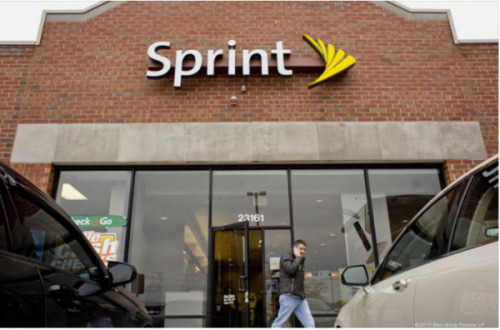 The Chicago-based company´s survey showed Sprint lost market share in the prior quarter, while its competitors saw gains. While Sprint managed to snag 23 percent of its customer base from other carriers, it also lost 37 percent of its subscribers, for a net loss of 14 percent. The findings are based on a survey of 500 U.S. subjects that activated a new or used phone between October and December. "Sprint gained new customers to a similar extent as AT&T and Verizon, but could not offset the customer losses in the quarter," Mike Levin, CIRP co-founder and partner, said in a statement. "Consequently, it was the only one of the four largest carriers to lose customers relative to its customer base at the beginning of the quarter." T-Mobile U.S. (Nasdaq: TMUS), on the other hand, grew its customer base by a total of 22 percent. "T-Mobile continues to win the carrier-switching challenge in the market, though it does not yet have the same scale as the two larger carriers, AT&T and Verizon," CIRP partner and co-founder Josh Lowitz said in the statement. "Its innovative plans continue to draw attention, and with improved network-quality advertising, it now is closer in overall market presence to AT&T and Verizon than it is to Sprint." Sprint´s stock is currently hovering just above $9 per share. Other topics to watch in Tuesday´s earnings report include cost reductions, capital expenditure plans and Sprint´s prepaid strategy. Claure has said that Sprint would continue to slash costs, after saving about $1 billion in the past year. "We look at every single dollar that gets spent," Claure said previously, noting the company had boosted sales while halving its marketing budget. "That´s the way we run the business," he added. "You can expect the same in 2017, 2018 and 2019, it´s the same culture." In terms of capital expenditure, Sprint halved its spending from the first quarter of 2016, but has said that number will increase as it secures more permits for small cells. Whether or not those numbers will show up in the next earnings release is hard to tell. "Going forward you´re going to see us come back to higher capex spending. We have to spend money to deploy those small cells," Claure said. "This is not a race to see who can spend more money to build the best network. … We believe we´ve taken advantage of the technology to run a good network." As Sprint builds up Virgin Mobile — the carrier it relaunched last year, the company may shed more light on its prepaid strategy. While Sprint has touted Boost Mobile as its "fighter brand," pulling customers from some of the big-name carriers, Sprint´s prepaid segment remains one of its weakest. Claure said postpaid still would be a focus for the company — it accounts for 80 percent of Sprint´s profits — but the company would take on its prepaid business next. "Prepaid has been a different story, and its one that we´re going to tackle straight on," he said. "The opportunities are large."